My name is Jacek Maciejewski. I am 34 years old. 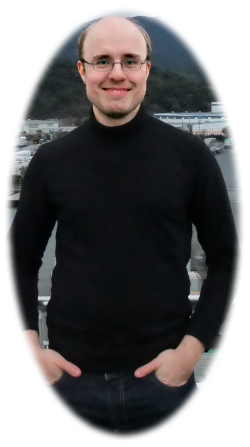 I am a QA Engineer living in Poznan (Poland), London (UK) and Tokyo (Japan). I specialise in web test automation with Selenium WebDriver and performance tests with JMeter. I also have experience in Agile coaching and consulting. After completing computer science course in Poland I received a scholarship from Japanese Ministry of Education. In October 2008 I went to Sapporo to conduct a research at Hokkaido University where I was studying for 18 months. Unfortunately, I couldn't get my scholarship extended and I had to leave the university. However as my visa was still valid I decided to stay in Japan to conduct more research and study Japanese. After returning to Poland I worked for the polish branch of Cognifide (British IT company) as QA Engineer for over 3 years and a half. Then I decided that I needed change and moved to London where I worked for ThoughtWorks as Senior QA Consultant. At that point I stepped into the role of consultant and became an Agile coach. After 5 years of work, I thought that it's a good point to take a break and moved to Tokyo to study Japanese. Currently I am back in my home town working for the same company as before. My hobbies are manga, anime and s-f books. I used to practice karate. As I already mentioned I love Japan and everything that is related to it. If there is anything I can help you with please don't hesitate to contact me. (c) 2010-2016 yaci.pl. Design by nodethirtythree and Free CSS Templates.